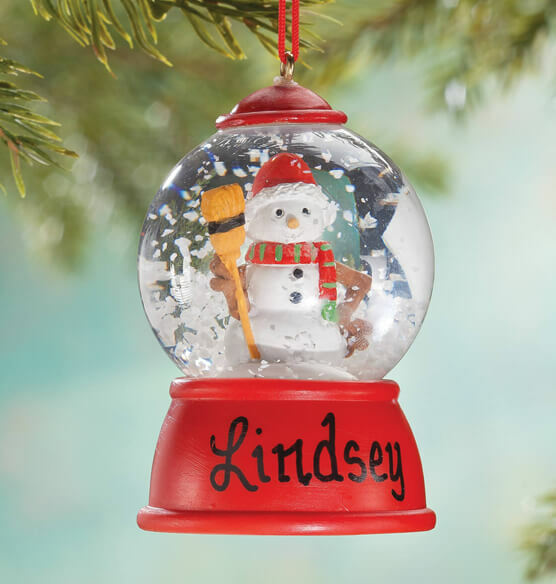 Making the season merry and bright, this personalized snowman waterglobe ornament dangles on the tree in custom style ... creating a WHITE Christmas when gently shaken! 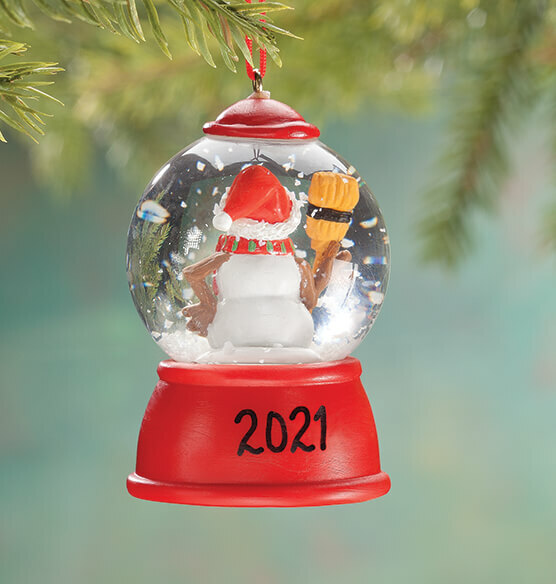 Adorably detailed all around, our real working waterglobe Christmas ornament will be personalized for a custom, dated keepsake. Specify name; limit 1 line, 8 letters/spaces. Specify year; limit 4 characters. Resin. 3" high. Perfect. Exactly what I wanted! Love this little snow globe! My son loved this little snow globe. It was super cute and the personalization looked great! I like to get a personalized & dated one every year for children & grandchildren. I give each of my grandchildren an ornament every year for Christmas. The water globe is something they all enjoy. The ones that weren't broken were cute. 4 out of 14 were broken. (The ones that weren't broken were cute.) The same ornament was not available. I spent an extra $32.00 to receive other ornaments in 1 business day. This is the 4th day, no sign of the product or notice as to what is happening. Cute and different & I thought grandkids would like this.